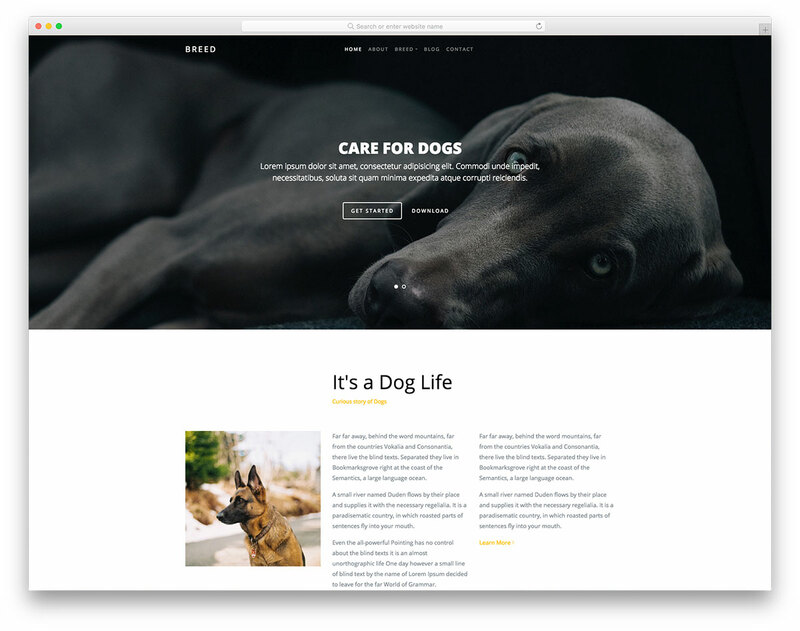 Out of the box, Breed comes as a free dog breeding website template. However, due to the ease of use and pliability, you can quickly and effortlessly tailor Breed to other breeding needs. Let it be horse breeding, cat breeding, you name it, Breed template is here to take care of your needs and realize your project. 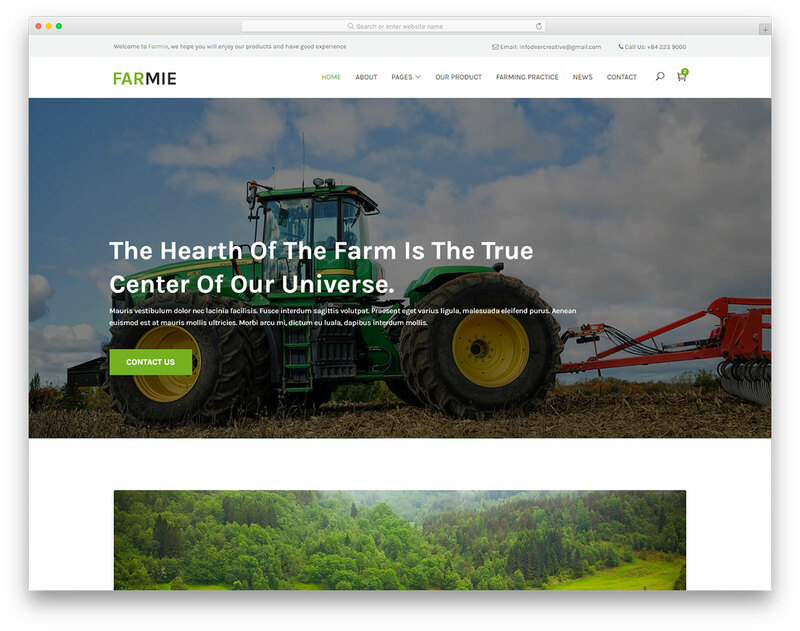 The web design of the template is plain and simplistic while the features are valuable and precious. 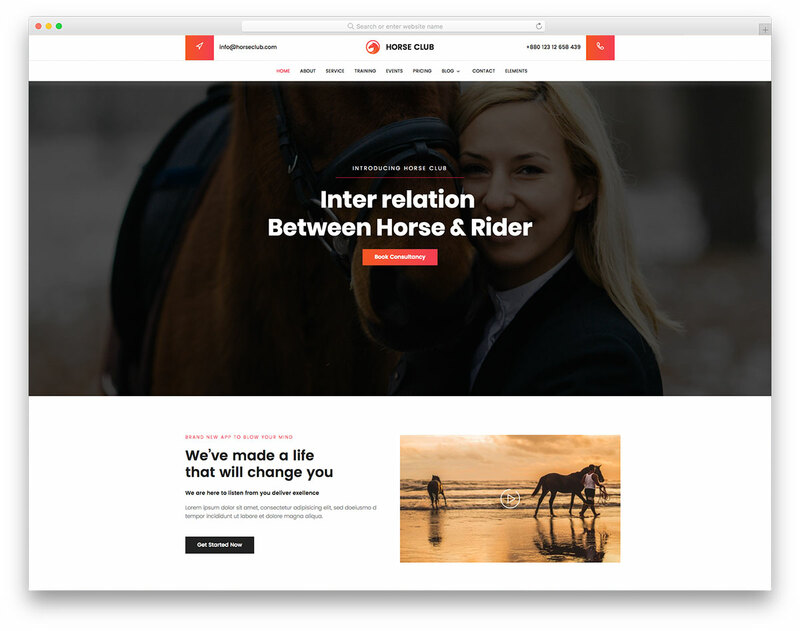 Great attention to detail, basic drop-down menu, different inner pages and a working contact form, it is all part of Breed free breeding website template. 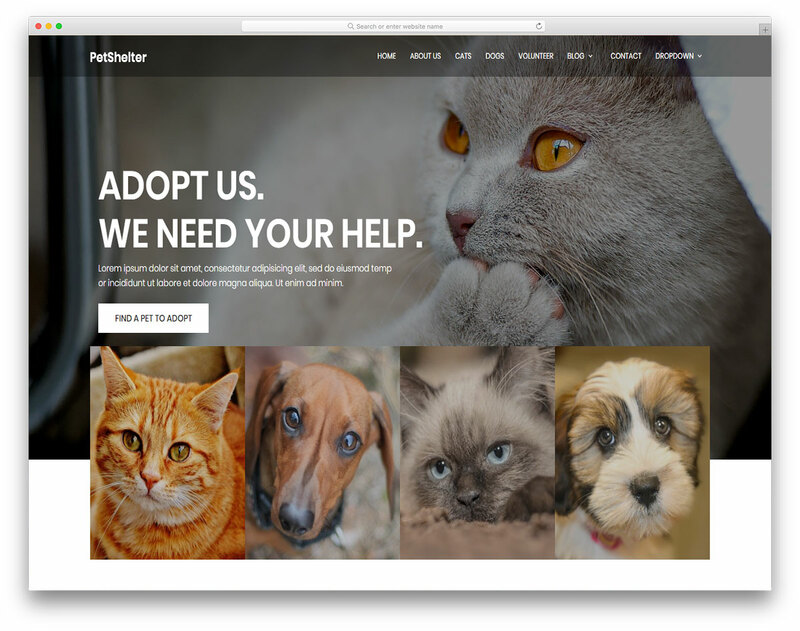 Not only dog but all you pet breeders and whisperers who are in need to sort out a page, utilize Breed template and benefit from its qualities. Great template for animals websites.